Home » A bright hillside on the cliff’s edge by the sea. 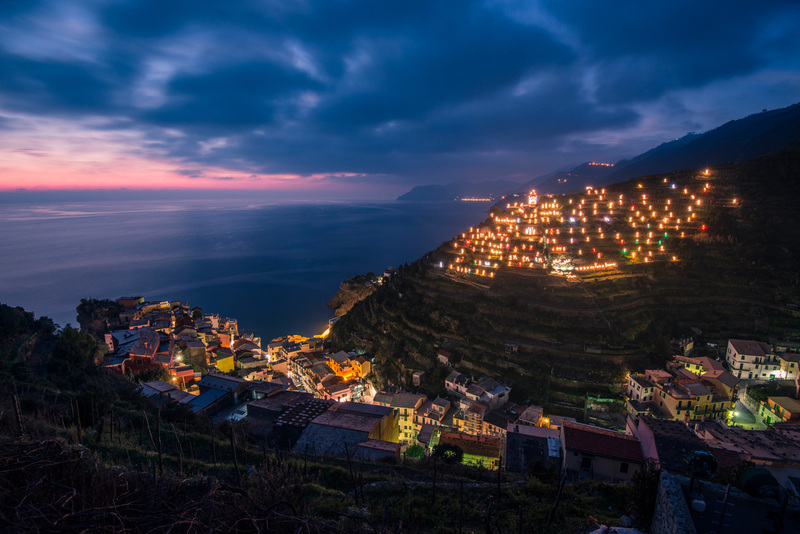 The magic of the nativity scene of Manarola. 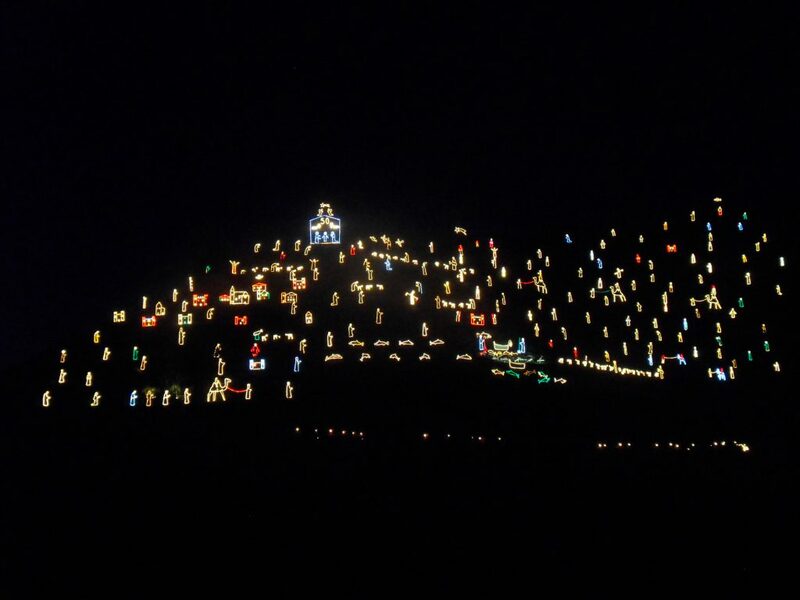 Eight kilometres of electric cables, nearly three hundred life-size shapes built with various odd-end materials, about 17,000 light bulbs, a 4,000 square meter hill space that falls theatrically towards the cliff’s edge. 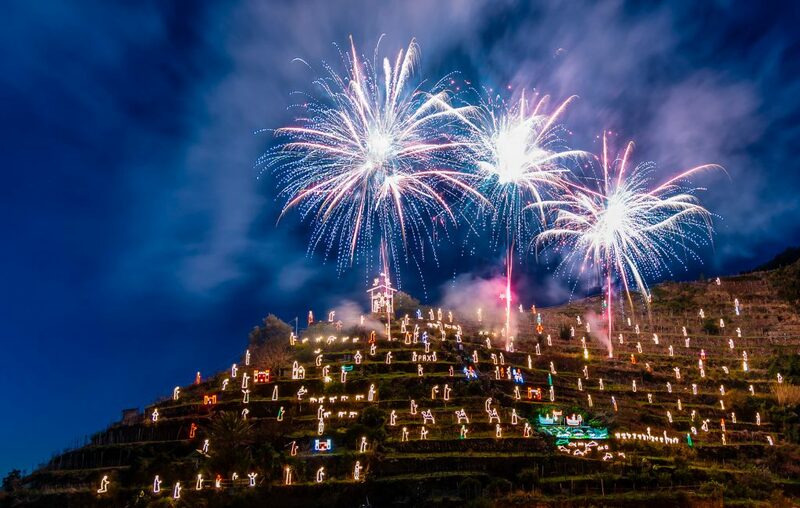 Add the this the beauty of the Cinque Terre and the passion and know-how of a 90-year-old man; and you have the Luminous Native scene in Manarola, one of the most eagerly awaited and spectacular appointments of the Italian Christmas period. 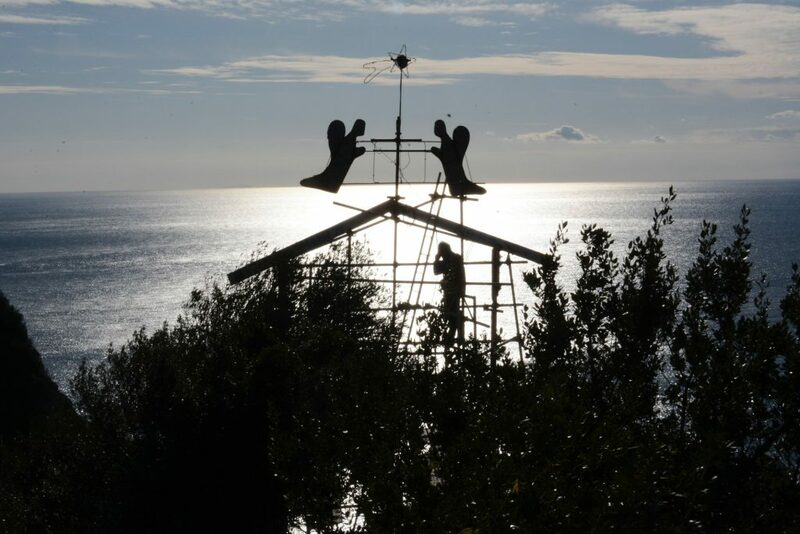 During the past fifty seven editions, in the characteristic Borgo di Manarola, in the very heart of Parco of the Cinque Terre, an amazing and one of a kind show is put on show. 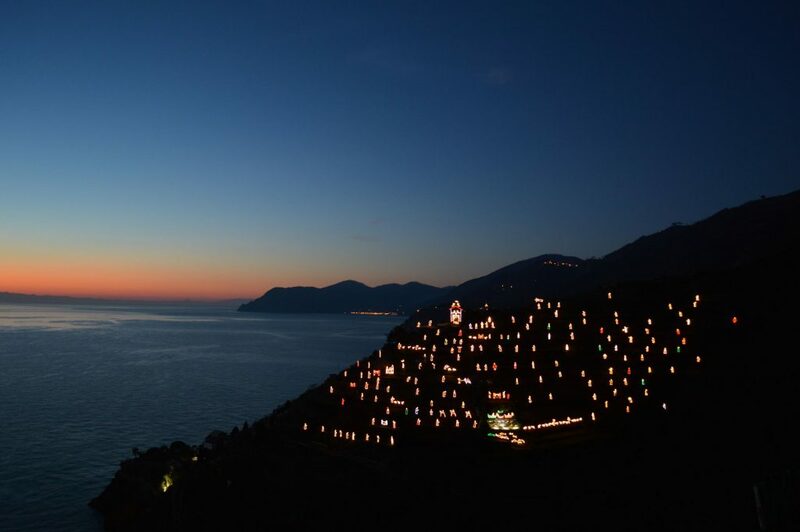 At sunset the Collina delle Tre Croci lights up creating an incredible nativity scene, which mixes artisanal knowledge and respect for the traditions with love for the area and a driving force behind innovation that makes it appear like a work of land art read with a traditional religious eye. 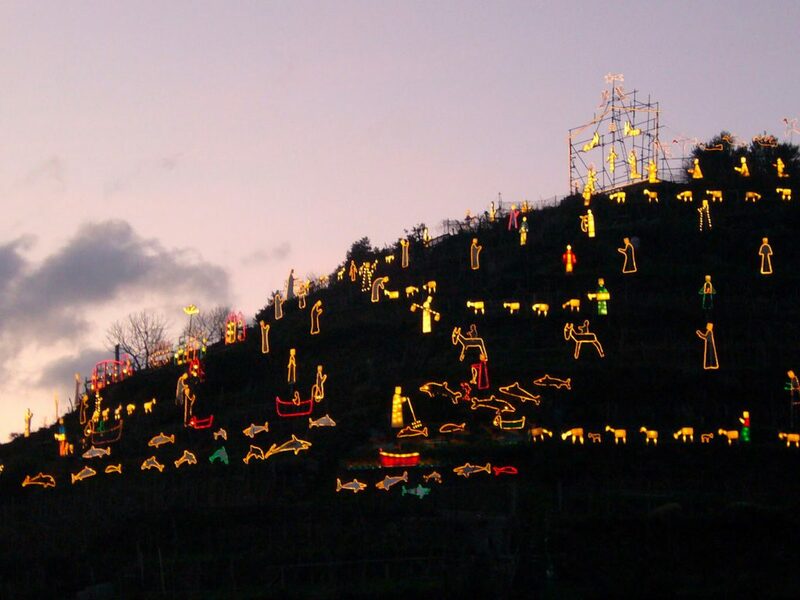 All credit for this must go to Mario Andreoli, born in1927, a retired railwayman who year after year enlarged his small lit nativity scene bit by bit to become ones of the biggest and most scenographic nativity scenes in the world. Further good news is that the manger scene’s lighting began to be run with an ad hoc photovoltaic battery system since 2008. This year the show will be replicated every night throughout the period of the Christmas festivities. From shepherds to fishermen, sheep to dolphins, seagulls to camels, angels and the wise men, it’s the place to be, no matter what, from sunset onwards and every occasion is magical.